Evolution Gaming is probably one of the most innovative casino software developers to hit the market since their inception in 2006. The company set out to be different from the rest and to do this they initially went down the route of offering up live dealer games. As they have evolved – no pun intended – the company have moved into more mainstream games as well, of which we will discuss at length throughout this article. Evolution Gaming are based out of Cheshire England, but cater for a vast range of countries around Europe and even further afield. Interestingly, they were the first live casino provider to gain a Preliminary Waiver Approval for New Jersey, USA, which has been a massive step for the company. Due to their innovative outlook, the software on hand is available to casinos as an instant play option, rather than download. As mentioned, the company offer a massive array of live dealer games and this is where the majority of their resources have been applied. What’s been great to see from the company is that they have really embraced the technology that is now widely available to casino players to integrate features such as multi-camera games, live interaction, real-time game stats, side bets, multi-gameplay, VIP tables, multiplayer games and highly trained dealers who are often bilingual, appealing to a much larger global audience. The roulette games on offer are something to really marvel at and there are no other casinos that can honestly get close to the depth that Evolution Gaming goes into. There are 10 different variants to choose from including Immersive, Immersive Lite, European, French, Native Speaking, Double Ball, Dual Play, Mini Live, Slingshot and Favourite Bets. Each variant comes with a slightly different twist, but for us, the Immersive Roulette game was the most engaging. To start with, at the table you get to see multiple camera angles for your game and are also able to interact with the dealer. You get to watch the game in 200FPS HD streams and as a result it feels like you are watching on TV rather than playing on your computer. It’s worth mentioning that this product also won EGR’s Game of the Year in 2014. Next, we wanted to talk about the Slingshot game, which is a technology that we hadn’t seen before. 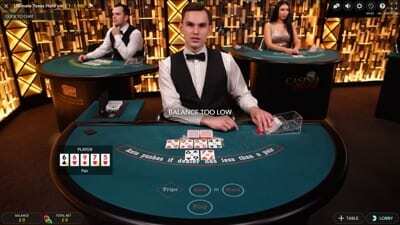 The concept of the game is that you are still playing with a live stream of a real roulette table and wheel, but the wheel is automated and will spin the ball without a dealer needing to be present. You can get through 60 to 80 games per hour with this and it runs 24 hours a day. The Blackjack games are equally as impressive, but you only get 5 games to choose from which include Live, Blackjack Party, Bet Behind, Perfect Pairs & 21 + 3 Side Bets and Pre-Decision. Of course, there are multiple tables for some of these game types if you fancy a change of dealer. The Live Blackjack game is fairly self-explanatory in that you can take your seat and sit with up to 7 other players. 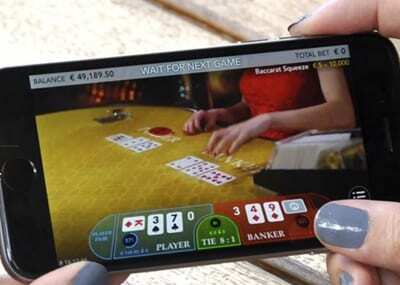 You are able to interact with the dealers and even other players at the table, all whilst watching on an HD Stream. The Bet Behind tables actually take their streams from these games, but instead can choose to bet on any hand from the seats in front of you whilst you wait to receive your seat. You’re able to see when players are running hot and when they’re running cold, before choosing who place your bets with. The Blackjack Party game is a little more light hearted than the normal live games, with live music and generally just a more relaxed feel. You still get all the same options and game types as you would expect, but games usually take a little longer to play as the dealer tries to communicate with all players. The software comes complete with a host of other games to play as well, including Live Baccarat, Live Casino Hold’em, Live Three Card Poker, Live Caribbean Stud Poker, Live Ultimate Texas Hold’em and VIP Games. What’s been impressive to see from all the other games is that the standards and quality of games that have been set by the likes of Blackjack and Roulette are carried through. With each, you are getting HD streams, innovative games, brilliantly created live casino scenes and probably most important of all, interactive games. As we mentioned earlier, Evolution Gaming have been in the industry since 2006, but it was always their goal to target the live casino games. As they are based out of London, they had a fair idea of what they needed to offer from looking at London-based casinos, and it was their job to go out an execute this in online form. It took just 12 months before the ball really started to roll and in 2007 they signed their first agreements with some major operators including Gala Coral, Party Gaming, William Hill, Blue Square, Gaming VC, Expekt and VC Bet. By 2009 the company were already outgrowing their London studios and needed to increase capacity to meet the demand. They ended up relocating to Riga, Latvia where they were in fact able to increase the size of the studios 4-fold. It is probably little surprise to hear that in 2009 they were able to sign up more interested casino operators as word got around, this time in the shape of 888, Ladbrokes, Unibet, Paddy Power and Sky Bet. 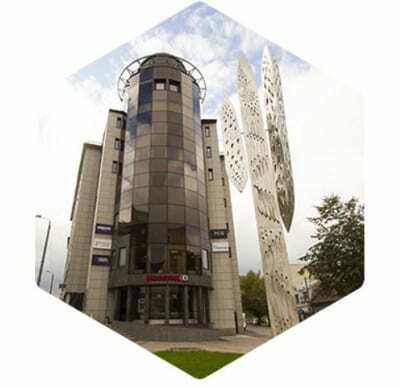 In 2010 the company started getting industry recognition for their work, winning the EGR Live Casino Software Supplier of the Year. In the same year, the studio size was increased again, this time to a 2,000+ square metre platform, allowing them to meet ever increasing demand. 2012 was arguably one of the biggest years for the company, as they adapted their platform to include mobile live casino games. They were one of the first in the industry to do so and since have won several awards for their efforts. In 2014 Evolution Gaming expanded again, this time opening up a new studio in Malta, and launched several new games to their platform including Live Three Card Poker. Their Immersive Roulette Game won EGR Game of the Year and they won Live Casino Software Supplier for the 5th year running. Bringing us into the present day, the company now have 7 different studios around the world, with the latest from the Grand Casino in Bucharest, Romania; the first in the country. They won Live Casino Supplier for the 7th year in a row at the EGR awards, along with new games and features throughout the casino. It’s safe to say that Evolution are dominating the live casino market at the minute as they keep moving forward at an alarming rate. You could say they are the Microgaming of the Live Casino industry.